Adworks Promotions, Inc. | "Branding is Our Business"
January 22, 2018 UncategorizedAdworks Promotions, Inc.
Who doesn’t love swag! It’s an odd-sounding colloquial term that describes products companies use to market or promote their brand. Swag, also sometimes called schwag, is usually printed with a company’s name, logo, and/or colors. Look for these top seven promotional products to be waved in front of you at your next trade show or doled out in an upcoming marketing program. As much as we all wish we could predict the weather, we simply can’t always foresee the rain. Rain can be one of the most frustrating annoyances at a conference, trade show or sales call, which is where free umbrellas can come in clutch. Not only will it make the attendee experience better, but it’ll also create buzz around how well prepared your company is for any given situation. Now that’s impressive. Be sure you get enough of them. And rest assured swag umbrellas with your branded logo will be used and seen long after the event or conference ends. An example is the 48” arc inverted-style umbrella. It has contrasting color on the underside, manual open/close, pongee fabric and straight rubberized finger grip handle. But it stands out for its revolutionary design. This umbrella closes away from you, keeping you dry when closing. It’s easier to close when entering or leaving a car or through a door. How is this not more popular! Backpacks are a practical swag item as they are reusable in multiple contexts. This Samsonite MVS Spinner Backpack is excellent to take on business trips to carry your computer, has zippered water bottle pockets, a push-button locking ergonomic handle for comfortable transport, and four multi-directional spinner wheels that allow 360-degree upright rolling so there is no weight on your arm. These can be used as a Red Carpet Swag Gift to be given out at your conference and stuffed with branded swag. These might be old-school, but paper items like moleskine notebooks can be convey swag. Even in an age when most everything is done digitally, moleskines are still one of the most popular items for taking notes. They’re also a lot classier than a classic spiral notebook, making them more of a novelty that many attendees will enjoy using both during and after the conference or tradeshow. This moleskine notebook should get serious consideration when picking out what to give away. 4. Tech swag is always a big hit with attendees. Where would we be without our phones? We’re running our empires and our lives from our portable devices. The perfect accessory: Kronies. These earbuds provide wireless freedom, allowing you to listen to your favorite jams or make calls with crisp, clear sound from the built-in microphone. Your brand can be music to someone’s ears when you give out the lightweight and portable Kronies that have a 33-foot wireless range, up to three hours of audio playtime, and In-ear play/pause/call control. 5. Cool Gadget:SmartDrive™ is a service technology that allows companies to update information on USB drives after they have been distributed to customers or employees. SmartDrives are a ubiquitous, low-cost, easy-to-use means to maintain delivery of information to recipients. Maintaining insurance application forms for sales employees/resellers. The SmartDrive USB stores all the files they need, and updates the files each time the drive is plugged in. The USB stored files also allow access to information when on the go, between home and work computer, or at customer offices, with or without internet connectivity. Providing customers with the most current product specification documents, installation videos, or accessories. Replacing mailed catalogs or CDs so that new versions can be updated more frequently and be kept current at a lower cost. Update or send materials presented at a conference after the event has ended. Send the keynote video or presentation documents so attendees can view later. We carry our tech devices with us at all times. So, leave an impression by offering swag that protects these all-important devices. A chic way to protect iPads and tablets is with a soft and durable microfiber cloth bag. The Opper Fiber® Tablet cloth bags are specifically designed to provide chemical-free, scratch-resistant storage, act as a cleaning cloth for tablets, and they can store eye glasses, jewelry, lenses, and other electronic devices. Opper Fiber® products are made with a special blend that eliminates the need for a cleaning spray solution. January 5, 2017 Uncategorized#promotional #apparel, #techAdworks Promotions, Inc.
Do you like carrying your Tech Gadgets, laptop, tablet and mobile phone when traveling on a plane or train? This Off The Grid Jacket is etched-out for digital-age movers & shakers who value extreme efficiency, especially when traveling. The big “wow” feature is that it has two front panels that can hold a full-size laptop. Features: Machine-washable, the OTG is nano-treated for water and stain resistance. What makes this jacket so unique is its 29 thoughtfully engineered pockets. Those pockets include the laptop space, plus a PadPocket for holding a tablet and two interior Clear Touch Pockets for smartphones. There’s also an RFTD-blocking pocket where users can place credit cards and passports. Finally, the jacket features an internal conduit system so wearers can run headphones wires out to their ears, avoiding tangling. February 20, 2016 UncategorizedAdworks Promotions, Inc. Custom printed magnets are affordable and effective marketing tools. They are a good value and highly effective because very few people ever throw them away. This keeps your name and promotional message prominently displayed in front of your clients for a long, long time. Also, custom printed magnets are generally printed in full color to gain attention and improve recall. Most consumers have promotional magnets on their refrigerators. You probably do too. Refrigerator magnets come in handy to hang up the grocery list or junior’s soccer schedule. Any consumer business, from a computer repair shop to a pizza restaurant, is well suited for promotional magnets because te contact info stays readily available for any need or want that may arise. August 11, 2015 UncategorizedAdworks Promotions, Inc. I receive my trade magazine Advantages last month and was so proud to see that they had a separate issue titled “American-Made Product are on Fire” that made me so proud to see the vast-majortiy of our products are USA-Made. Taking full advantage of the flexibility that Made-in-USA allows and it makes a strong case for why domestic manufacturing has such appeal to customers. One of my suppliers that has a traditional journals and can turn orders, faster, more reliably, and without the safety concerns of direct importing. Reading these articles in this magazine made me proud to have a business in the promotional industry and knowing that I help support precious American jobs by purchasing some of these products from some of these suppliers for my clients. Case Study from Snugz USA: Last summer a they imprinted a USA Jumbo Sunscreen Sticks and were used at a professional golf tournament as a promotion. “Attendees were greeted with a useful, high-quality item that was convenient to use and store. “Plus is was a USA-made product. It was a perfect item for the event because the recipients were outside in the sun for long period of time and they used the jumbo sunscreen sticks to reapply their SPF. It’s always a good idea to by American, especially when shopping for personal-care products like sunscreen or lip balm. With all the Festivals, Tailgating, Company Picnics and Labor Day Events in the works right now, USA-made products are a great way to promote your business while distributing a high-quality product that recipients will appreciate and use. National Geographic Society is celebrating 127 years this year, first opening its doors as a publisher of guide books and maps. They have since added DVD’s, books and a worldwide TV channel to their offerings. There tagline line today is “To Inspire People to Care about the Planet”. They are still know for travel, photography and storytelling.” There bestselling “Journeys of a Lifetime” has been popular in tiered gifting programs and as a gift-with-purchase item for health-care and insurance companies looking to encourage continued use of their services. The client can have a National Geographic add and elegant, permanent message, called a tip-in page, in the front of the book. It displays a logo, the message and even personalization up to five colors. They promote literacy have a high-perceived value and can be easily customized. After reading about each one of these suppliers I’m going to be making sure that I think about “American Made Products” and offer suggestions to clients when they are looking to brand their business. These companies range of USA Products from apparel, drinkware, journals, mats, corporate gifts, books, calendars, folders, awards, #1 foam finger, match boxes, coasters to moisture wicking apparel. July 3, 2015 UncategorizedAdworks Promotions, Inc.
Everyone uses them. No matter who your target client is they work. They are useful. People keep them in cars, homes and offices. They are versatile. Your brand can be on one panel, alternating panels or over the entire umbrella. Celebrating an 80th anniversary is a big deal, so why not create an incredible marketing piece with this full color/full bleed umbrella. Patrons of the hospital loved it and were happy to receive not only an attractive umbrella, but a functional gift as well. 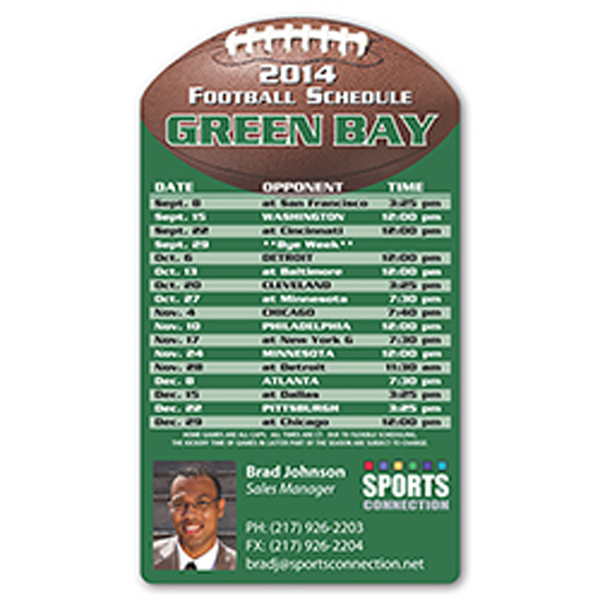 Football schedule magnets are specially designed for all those football lovers who can never miss the season game. These magnets have a high attraction power as it helps to curb the craziness of game lovers. Distribution of these magnets is an easy and quick step. Advertisers can choose to operate through stores selling sports accessories or during some local sports matches or as a freebie with some purchases. As these magnets are small in size, customers can bring them home by saving on transportation costs. Celebrating 24 Year in Business! Who is bringing the Turkey for Thanksgiving!!! October 10, 2014 UncategorizedAdworks Promotions, Inc.
Don’t compare these with a “supermarket” turkey. These very tender birds are fully cooked–slowly over hardwood embers for a full 24 hours to retain their natural juices. Our smoked turkey is a rare treat, a memorable experience for the few who are lucky enough to receive one. 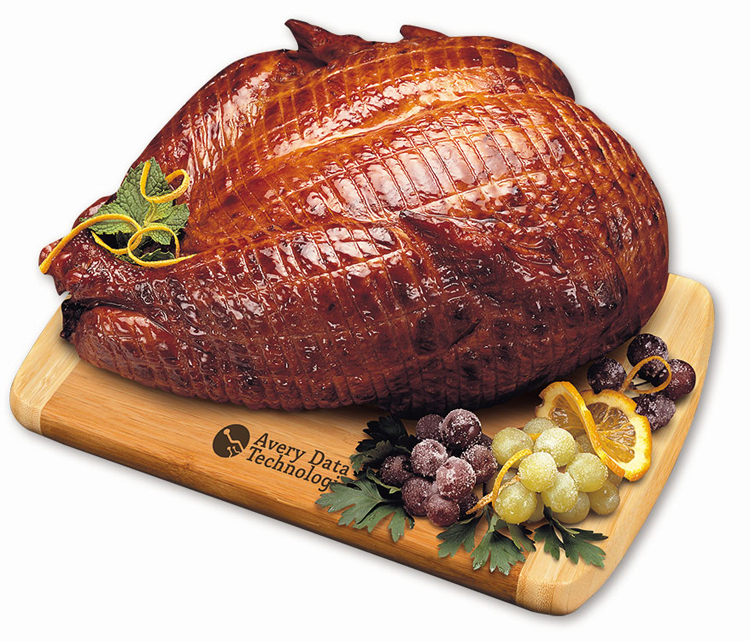 Each 7-9 pound turkey serves 6-8 people and comes with a Bamboo cutting board firebranded with your imprint. No Set-up charge! Food Gifts that leave lasting impressions to your clients! “Thanksgiving” is a best time to get those food gifts out to say “thank you” to your clients & employees. We can arrange for shipment to you, or directly to each recipient. We will even enclose your greeting or business card your clients. Fresher gifts taste better (and say something nice about the sender) Our gifts are packed-to-order just before the order is shipped, NOT made up many months in advance like so many gifts from the mail-order an retail giants. Call us today 225-767-8762 or email us “eflynn@me.com for more on our Food Gift Ideas or click on our website below the turkey. Here is the perfect gift for the person who has everything. This wooden dispenser is firebranded with your imprint. We include a half-pound of America’s favorite jelly beans, the JELLY BELLY®. Pick one, two, or three colors of JELLY BELLY® jelly beans to match your logo or promotional theme. 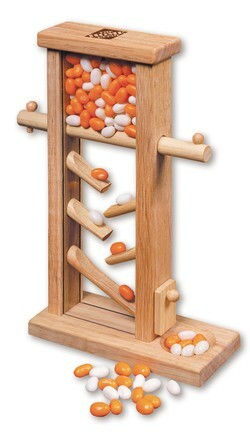 Custom jelly bean dispenser that can mailed to all your top clients as a thank you…..I included a custom “story card” everyone will love it…then throughout the year, about every two months, send out a refill of the jelly beans in the clients colors. July 30, 2014 UncategorizedAdworks Promotions, Inc. The Power of you and your DNA and what you bring to the table is valuable. The Value of you and why should someone call you back. What is your brand? Your brand is you and what you bring to the table, how creative are you when it comes to marketing yourself and your business. How do you set yourself apart from your competitors and standing out from the crowd. I once attended a Round Robin Networking event where individuals of companies had 3 minutes to introduced themselves, so to make myself unique I wore a crown and a sash like a beauty queen and imprinted the sash “Princess of Promos”, everyone stills remembers me from that event and I still get calls at my office and people ask for the “Princess of Promos”. The value you bring to a sale is your experience, achievements, knowledge of your industry and what you did in that sale that makes that customer keep coming back and you have more opportunities for referrals when you bring value. July 23, 2014 UncategorizedAdworks Promotions, Inc. Whether you are out on the field, in the stands or tailgating in the parking lot, you have to have a place to sit. Seat cushions, stadium seats, folding chairs and cushions are a great custom fundraising idea for your Booster Club or to sell in your spirit shop. We also love these for corporate events, picnic and gifts. Cushions, Seats, Chairs…folding, portable with carrying bags and straps, some with built in coolers or ponchos or blankets… some in sport shapes and all a must for your game day in your colors, featuring your logo/mascot or text. So come on Take a Seat! 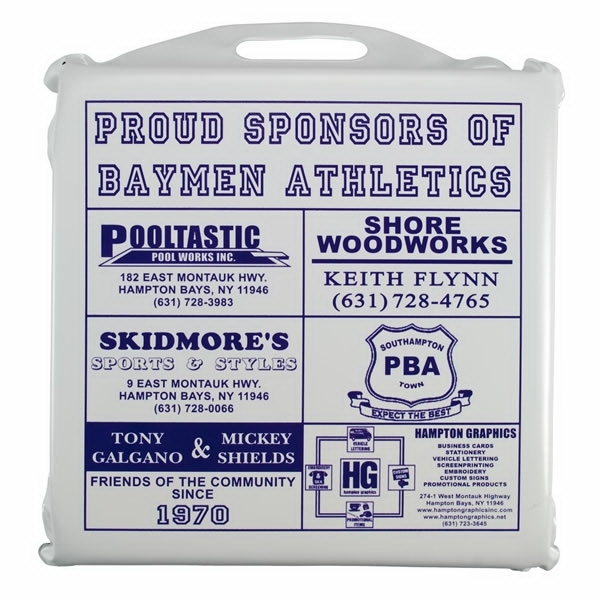 Custom Seat Cushions are among the most popular school and team spirit items we offer. If you have ever sat on a hard bench or bleacher at a game you know you need one!! LOTS of great options and we love that you can sell ad space on one side while featuring your school logo/mascot on the other. Many seat cushions can also be done in two-tone so you can show off both your school colors.